MediaEval 2017 Workshop takes place 13-15 September with CLEF 2017 in Dublin, Ireland. Overview of MediaEval 2017: Presentation video including summaries of all tasks. 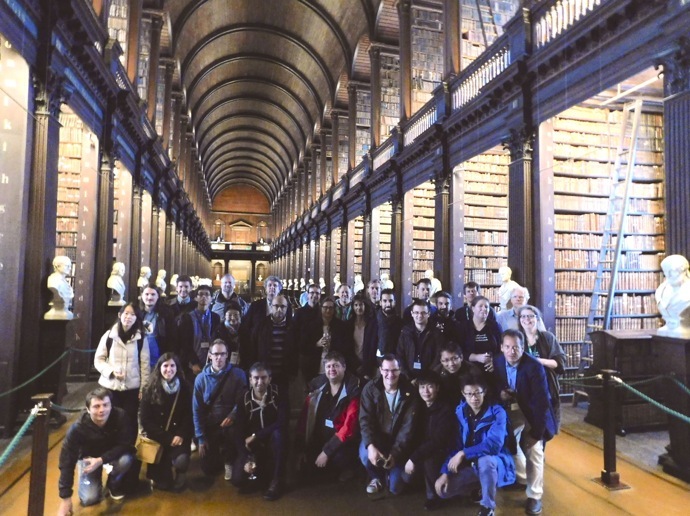 The MediaEval 2017 Workshop was held 13-15 September 2017 at Trinity College Dublin in Dublin, Ireland, co-located with CLEF 2017 and featured interesting joint sessions and cross-over discussions. Over its lifetime, MediaEval teamwork and collaboration has given rise to over 600 papers in the MediaEval workshop proceedings, but also at conferences and in journals. Check out the MediaEval bibliography. Thank you to Trinity College Dublin and especially to the Library. Congratulations to our AAAC Travel Grant Recipients Gabi Constantin (Politechnico Bucharest, Romania) and Ricardo Manhães Savii (Federal University of São Paulo, Brazil), who participated in the MediaEval 2017 Predicting Media Interestingness Task and received travel grants from the Association for the Advancement of Affective Computing (AAAC). MediaEval would like to thank AAAC for its generosity. Through the years, MediaEval has also benefited from the support of ACM SIGIR. Once again this year, they have provided us with funding that makes it possible to support students and early career to travel to attend the workshop. We would like to extend a special thanks to them for their essential support.